SpaceTEC® is a National Resource Center for Aerospace Technical Education, created in part through a grant from the National Science Foundation. SpaceTEC® programs provide industry-driven, nationally recognized credentials reflecting competencies employers demand for aerospace technicians seeking employment in the aerospace industry. SpaceTEC® certification program curriculum and examinations are offered through a nation-wide consortium of community and technical colleges, universities, business and industry organizations, and government agencies. SpaceTEC® provides the only FAA-recognized national performance-based certifications available for aerospace technicians in the United States today. SpaceTEC® and its partner colleges offer aerospace curricula for two-year degree programs, workshops, seminars, and prep courses for aerospace certifications. SpaceTEC® develops Knowledge Skills Inventories (KSIs) that provide an objective survey of knowledge and skills to screen candidates for hiring or promotion. Using its National Aerospace Technology Advisory Committee (NATAC), SpaceTEC® validates and publishes Workplace Practices and Performance Standards. 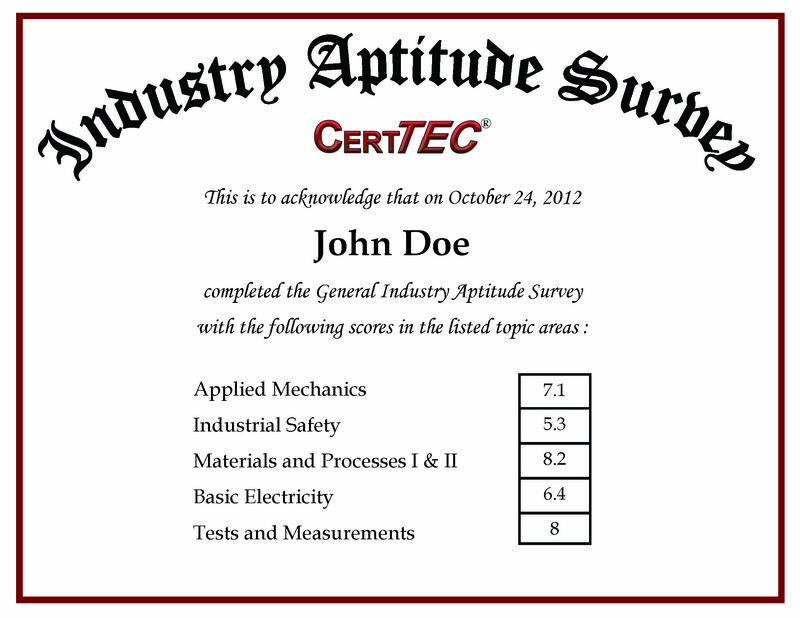 For the technical workforce outside aerospace, SpaceTEC® supports and endorses performance-based certifications and customized Industry Aptitude Surveys (IASs) through CertTEC®, it’s commercial industry credentialing division. For K-12, SpaceTEC® performs outreach nationwide to primary, middle and secondary school students and STEM educators through its Schools-to-Space division with presentations, a resource website at www.schools-to-space.com, and teacher workshops which introduces the Certified Aerospace Technician® STEM career pathway. SpaceTEC® is accepting sponsors at all levels and your organization can join us by contributing tools, supplies, equipment, internships and cooperative learning opportunities, faculty support, subject matter experts or funding for any or all of these items. We guarantee national exposure and the chance to promote your company’s participation. To learn more, please contact our staff.